Not much beats the unassuming elegance of the Valerie Canvas Blouse. Stylish and versatile, this medieval peasant top has a round neckline and long bell sleeves that match its relaxed fit and the gentle outward taper of its length. 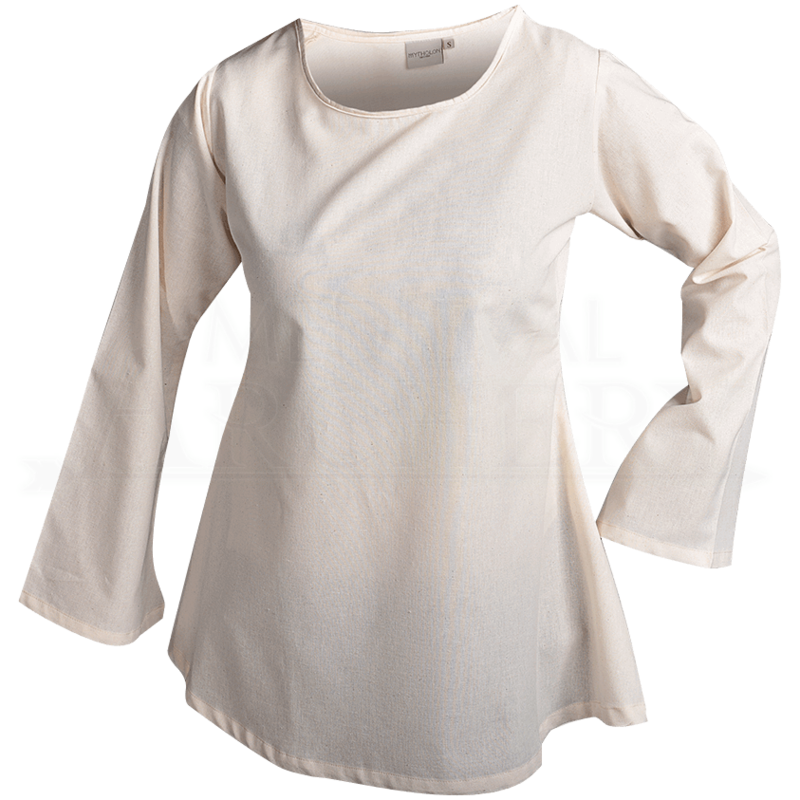 Made of cotton canvas fabric, this womens medieval blouse makes an excellent staple in many reenactment wardrobes, as this canvas top is great for layering with many outfits. The long sleeves of this medieval shirt are fitted until the forearm, and the tapering of the blouse begins under the bust for a flattering silhouette. Whether combined with a bodice and a full length skirt to create the costume of an elegant maiden, or worn with pants for a daring pirate ensemble, the Valerie Canvas Blouse lends grace to medieval reenactment, LARP, and Renaissance faire looks alike.